The rules governing healthcare insurance procedures are as varied as the companies that offer policies. Payers may choose to follow the same regulations as government backed insurance plans, while others have developed their own unique set of parameters. It’s essential for billers to be familiar with them all and electronic medical record expert (EMR), Nitin Chhoda, has released new data on who makes the rules that govern reimbursements. When it comes to clinicians being reimbursed for the services they render, practitioners should never forget that insurance companies are firmly in control of the entire process. Each payer has its own set of policies, procedures, manuals and submission requirements. The payer establishes the rules and regulations that medical billers and coders must follow to ensure clinicians are reimbursed. Practitioners typically contract with commercial insurance companies to reimburse them when one of their covered clients seeks medical attention. Most individuals have insurance through their employer and the payer underwrites the plan, complete with financial caps, treatment limitations and the need for prior authorization and referrals. Insurance companies control access to providers through the employment of networks. The insurance company maintains a network of medical providers with which it has a contract. The arrangement ensures a steady stream of patients for practitioners. In return, the clinician agrees to receive specific reimbursements for services to limit outlays by the insurance company. Contracts define time limits for submitting claims, how long the insurance company has to pay the claim, and the type of plans included in the agreement. Fee schedules, procedures that require preauthorization or referrals, and the appeals process are clearly spelled out. Other payers choose to adhere to the fee schedule set forth by Medicare, modify the fees to pay 110 to 125 percent of what Medicare reimburses, or even pay less. Even though the medical provider may receive less than the Medicare fee, insurance company executives know that patients covered under their plans represent a substantial client base. Most claims result in prompt payment, but the potential always exists for the payer to repudiate a reimbursement. Practitioners must use caution when negotiating contracts with payers, be cognizant of the terms, and long-term implications. Appeals can be filed when necessary. Much of the reimbursement process relies upon the medical billing and coding specialist entering the correct codes, and ensuring documentation complies with the payer’s submission specifications. Payer-practitioner contracts should be loaded in the practice’s EMR software to facilitate clean claims. 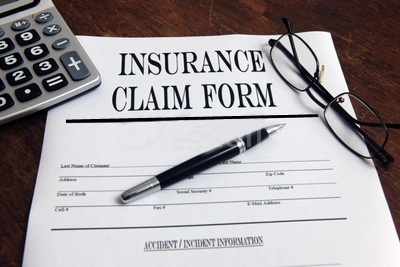 Insurance companies call all the shots when it comes to reimbursements. Clinicians must be vigilant when negotiating contracts with payers to ensure they’re receiving the best return for their services. A great many payers exist, each with its own set of rules, regulations and requirements, but with a good billing and coding department, participating in a network of insurance providers can be a good investment for the practice.